From 15th February to 25th March 2018, the 53rd Casa Decor was held in an iconic building in the Chamberí neighbourhood of Madrid. The 40-day event welcomed over 49,000 visitors and covered an area of 3,100 m². Approximately 70 teams of interior designers, architects, designers and landscape gardeners took part. Hager also attended again this year, having engaged Miriam Alía, one of Spain’s top interior designers, to display the Berker range of switches. Miriam used the switches in her space “El viaje del tiempo” (“Time travel”). The Berker switch range includes a wide array of materials and designs, so the switches can be integrated perfectly into any room. The Berker models that were used here included: Berker Glass Series, Berker B. IQ, Berker R.3, Berker Q.7, Berker R.1, Berker B.7, Berker Q.3, Berker K.1 and Rosenthal. With the help of the Hager Manufaktur workshop, Miriam also created two Berker switches especially for her space. Further products and solutions from the Hager and Berker brands were exhibited in another 12 exclusive rooms – including spaces by well-known interior designers such as Guillaume García-Hoz, Inmaculada Recio and Silvia Trigueros, Aitor Viteri and Elena Lapeña, and Manuel Espejo. 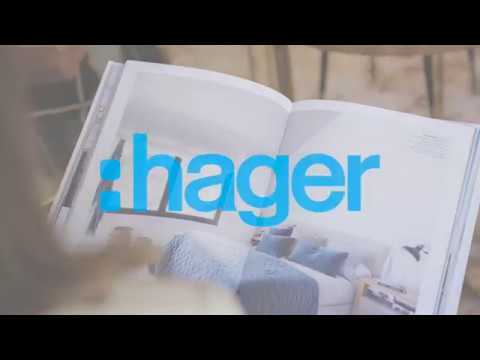 In keeping with tradition, Hager threw a party towards the end of the event, the “Experiencia Hager Casa Decor”, to bring together all the experts and participants one last time and celebrate their joint success.